We believe that deep down both you and us want to make the world a cleaner place for all of us – less stuff, less waste. One decision, one step at time! Thank you for helping us achieve this by investing in quality and wearing shoes that last for many seasons to come! To make your shoes even more durable, take care of them the right way. A proper shoe care makes shoes last longer and shine brighter! 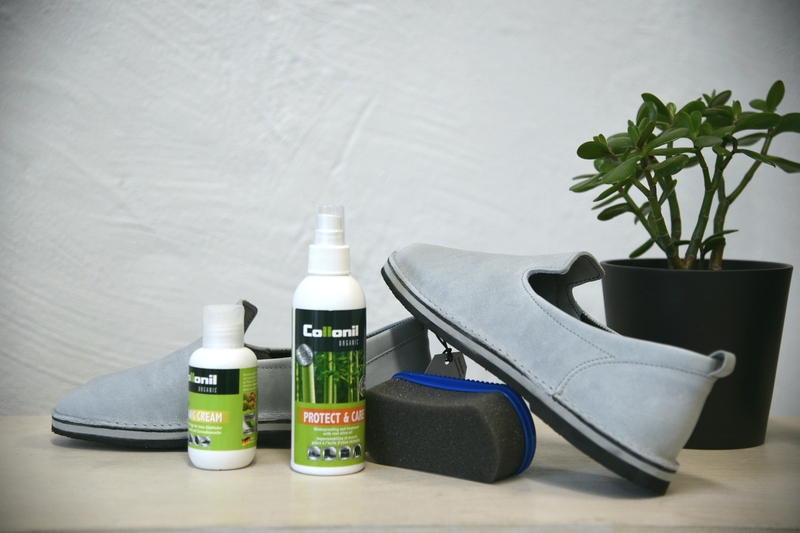 Before starting to wear your shoes, protect them with a suitable dirt and moisture repellent. 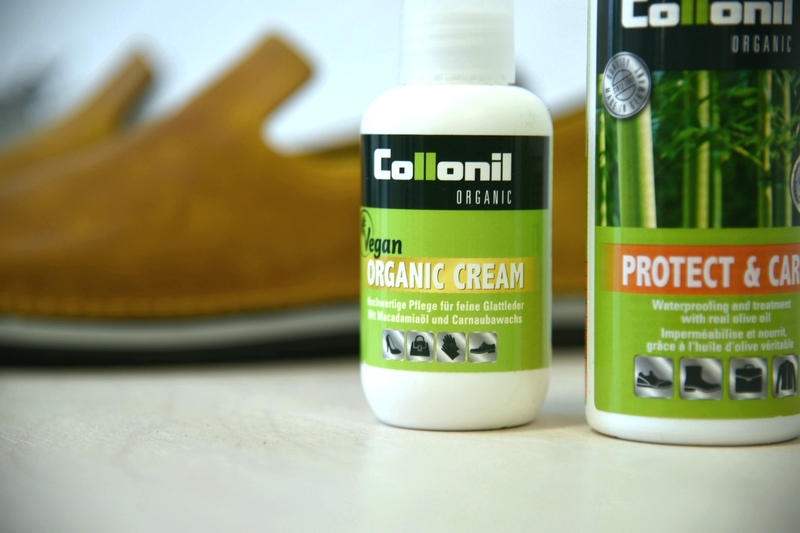 Use the product 2-3 times to give your shoes an extra kick. Later on, use the repellent every now and then (wipe your shoes clean every time before using the product, let them dry, but not on a heater). Choose a product for oiled or waxed leather. We like Collonil Organic Protect & Care, which is environmentally friendly thanks to its spray pump and natural oils. From time to time, give your shoes a rest day to let them air out. I can’t believe, that I’m actually writing this, but… don’t put your leather shoes in the washing machine! Wool is an awesome material: it is self-cleaning, and naturally dust-repelling. If you do get a coffee stain on your white slippers, use a wet cloth to rub the stain away. 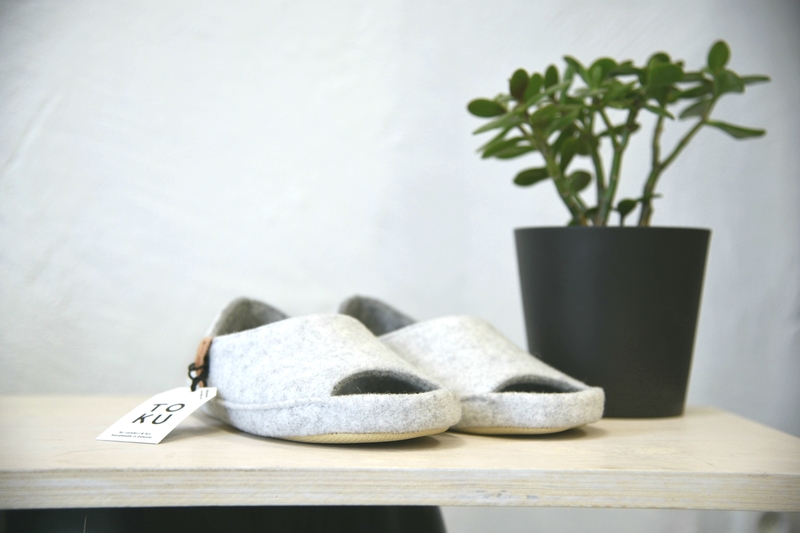 Our slippers are actually machine-washable as well (we’ve tested it! ), but the truth is, that the less you wash things in the washing machine, the longer they last. If you do need to give your slippers a fresh start, put the slippers in a laundry bag or in a pillow case to avoid too much tumbling. Use only the wool washing mode (not over 30 °C) and preferably washing soap, that is meant for wool.